Jayne Hanna is a master problem-solver and go-getter, particularly when it comes to keeping connected with her Robotics team, the Sunchasers. Jayne lives in the remote Alaska Native village of Mekoryuk on Nunivak Island—a long 150 miles away from her teammate in Bethel—which makes exchanging ideas, parts and fundraising goods extremely challenging. Jayne worked with community members and school sports teams to hand-deliver goods by bush plane from one community to the other, and used teleconferencing resources to update code and collaborate with her teammate. Despite having limited access to academic opportunities (Jayne is one of 11 high school students in her village) she has actively participated in team sports, speech and poetry competitions, and various student government roles and obtained college credits from dual enrollment since her sophomore year in high school. 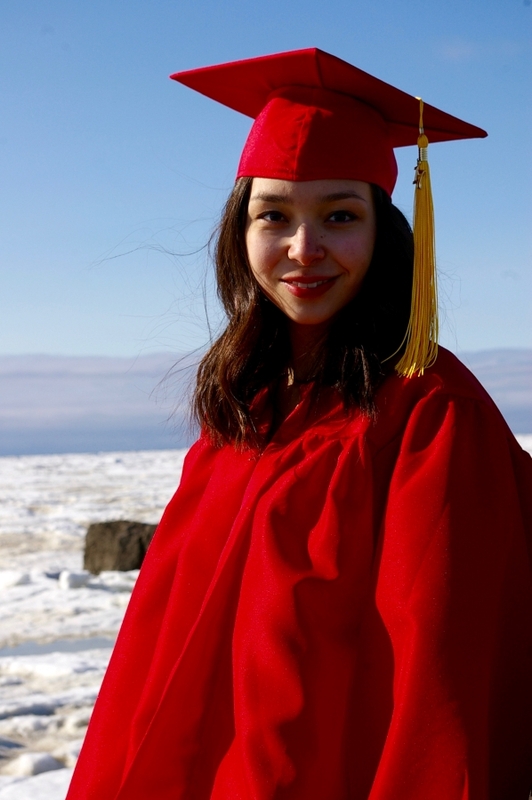 Jayne hopes to become an educator in rural Alaska to continue her love of learning and act as a role model for other Alaska Natives. “Striving for academic success with diligent work ethic is only one variable contributing to college and career readiness,” Hanna stated. “It’s vital to take advantage of every available opportunity– especially the ones that stretch your comfort zone! Taking on leadership roles and trying new things will strengthen your relational skills and help shape your future. Additionally, weaving together cultural heritage and personal values with modern-day education establishes confidence that prepares you well for success after high school.”Hannah was selected by a national committee of education and workforce leaders from across the U.S. and was selected based on her strong academic success in addition to her heavy involvement in extracurricular programs and student leadership. Hanna plans to attend Biola University in California, majoring in Math with a concentration in Secondary Education, with the ultimate goal of returning to rural Alaska as a teacher.